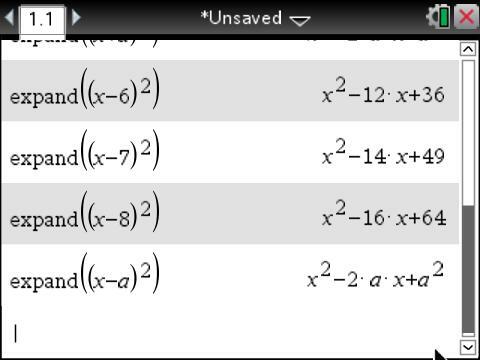 Big Idea 2 from the 2016-2017 AP Calculus Curriculum Framework is Derivatives. 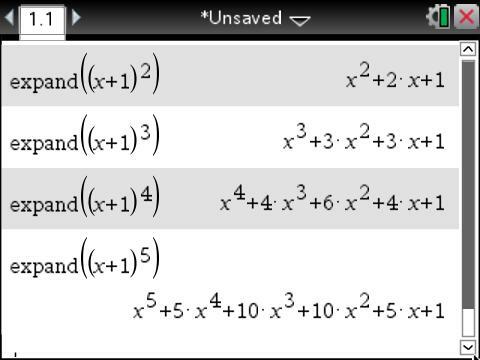 Enduring Understanding 2.1: The derivative of a function is defined as the limit of a difference quotient and can be determined using a variety of strategies. 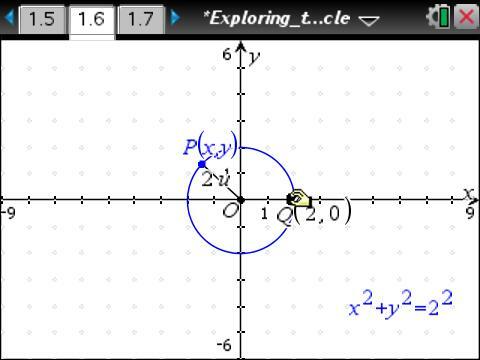 Essential Knowledge 2.1C2: Specific rules can be used to calculate derivatives for classes of functions, including polynomial, rational, power, exponential, logarithmic, trigonometric, and inverse trigonometric. Essential Knowledge 2.1C3: Sums, differences, products, and quotients of functions can be differentiated using derivative rules. 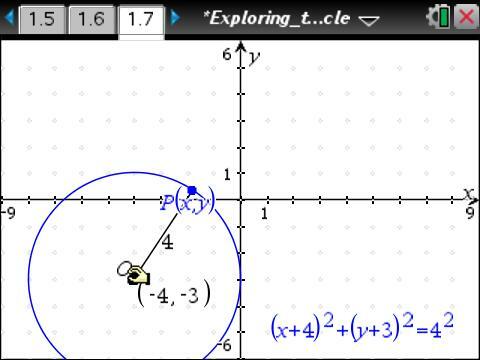 Students can: develop conjectures based on exploration with technology. How do you provide students the opportunity to develop conjectures? 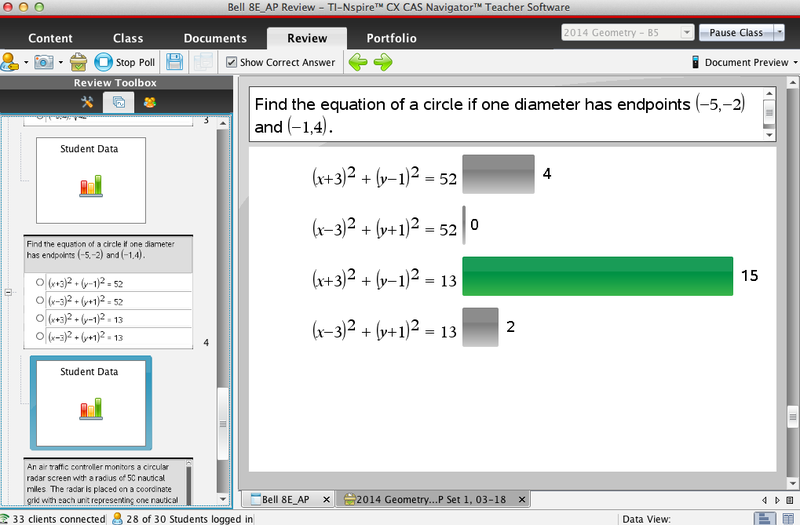 After determining the derivative of a few quadratic functions using the definition, we use our TI-Nspire Computer Algebra System (CAS) software to explore derivatives. We know what the derivative should be, because we know the derivative of x^5. How could we use f, f ‘, g, and g ‘ to get to what we know is the derivative from the power rule? Once students made conjectures about the product rule, we formalized the rule. I asked students to predict the derivative of f(x)=sin(3x). 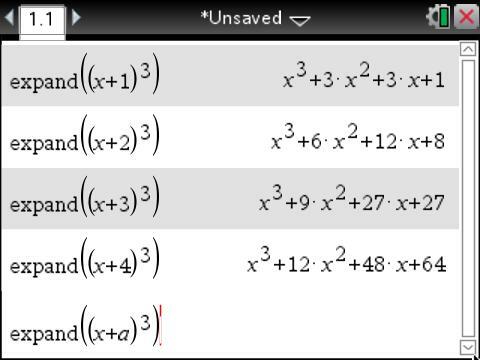 As expected, many thought that it would be f ’(x)=cos(3x). 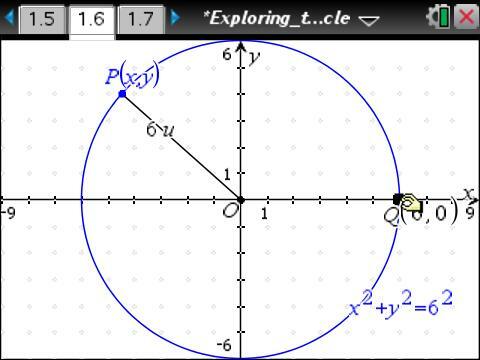 When we looked at the graph of the derivative of f(x), students realized that f ‘(x)=3cos(3x). We used CAS to explore the chain rule (power and composite) in more detail. Students practiced “Notice and Note”. Several generalized the chain power rule before I asked. Once students knew the chain rule, we used the chain rule to derive the quotient rule. 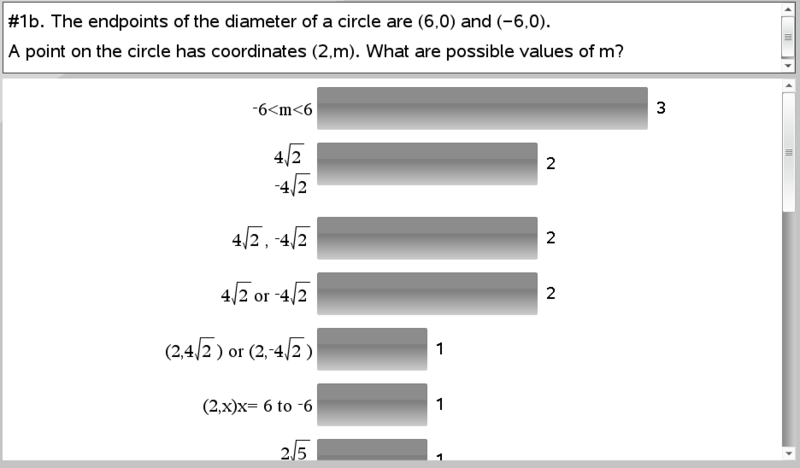 How do you provide an opportunity for your students to make sense of the equation of a circle in the coordinate plane? 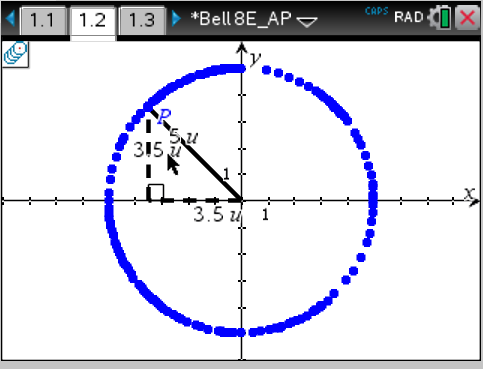 We recently use the Geometry Nspired activity Exploring the Equation of a Circle. Students practiced look for and express regularity in repeated reasoning. What stays the same? What changes? The hypotenuse is always 5. What else do you notice? What has to be true for these objects? Leg squared plus leg squared equals five squared. What do you notice about the legs? How can we represent the legs on the graph? One leg is always horizontal. One leg is always vertical. How can we represent their lengths in the coordinate plane? 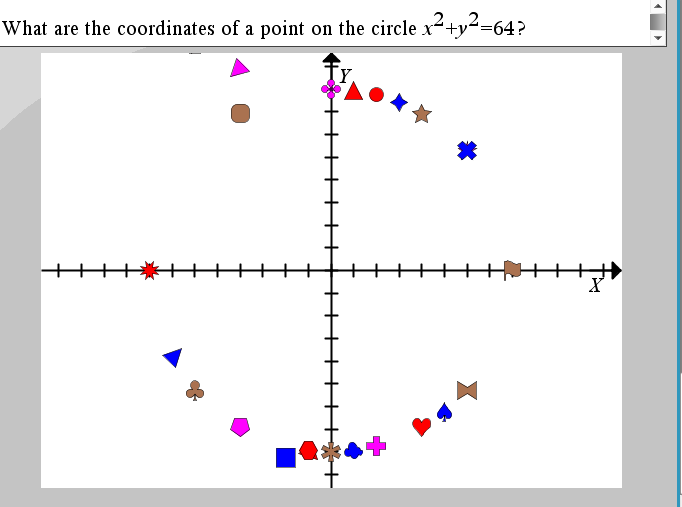 What do x and y have to do with point P? Oh! 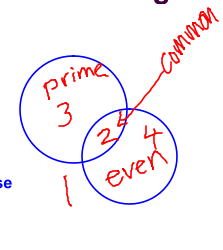 They’re the x- and y-coordinates of point P.
So what can we say is always true? Is there an equation that is always true? 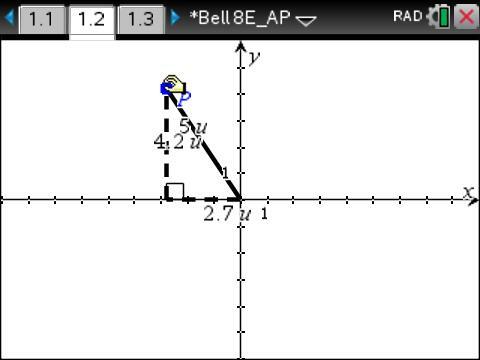 And then we traced point P as we moved it about coordinate plane. 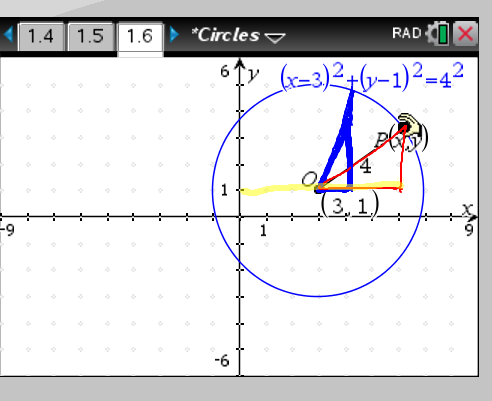 So P makes a circle, and we have figured out that the equation of that circle is x²+y²=5². 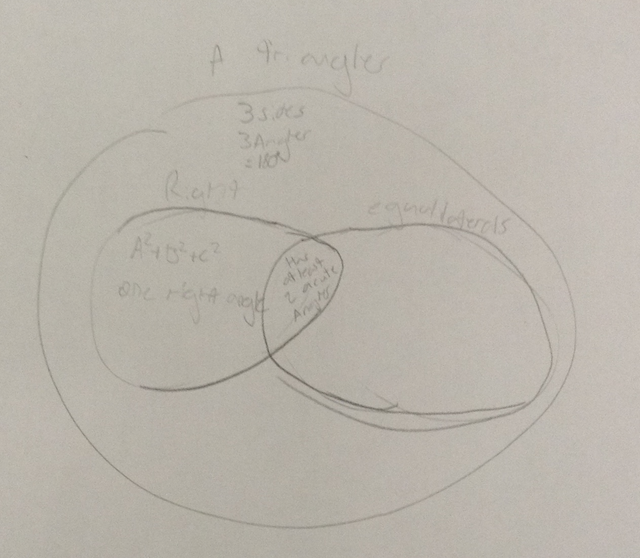 I then let them explore two other pages with their teams, one where they could change the radius of the circle and one where they could change the center of the circle. And then they answered a few questions about what they found. 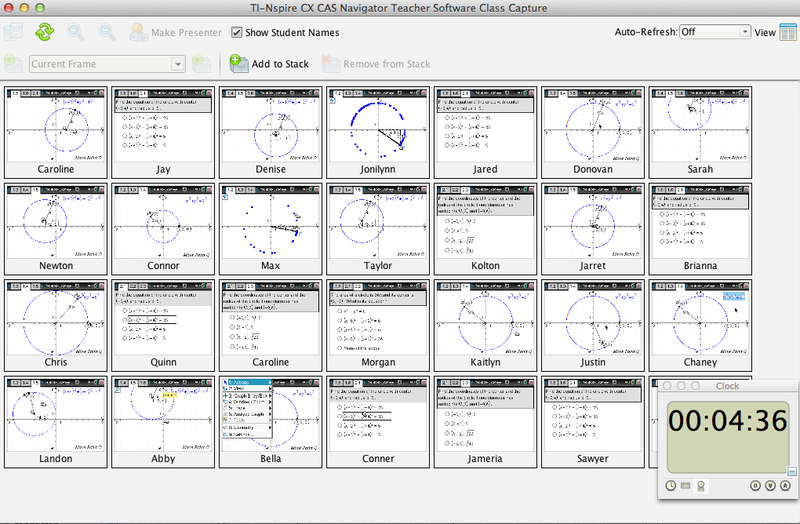 I used Class Capture to watch as they practiced look for and express regularity in repeated reasoning. 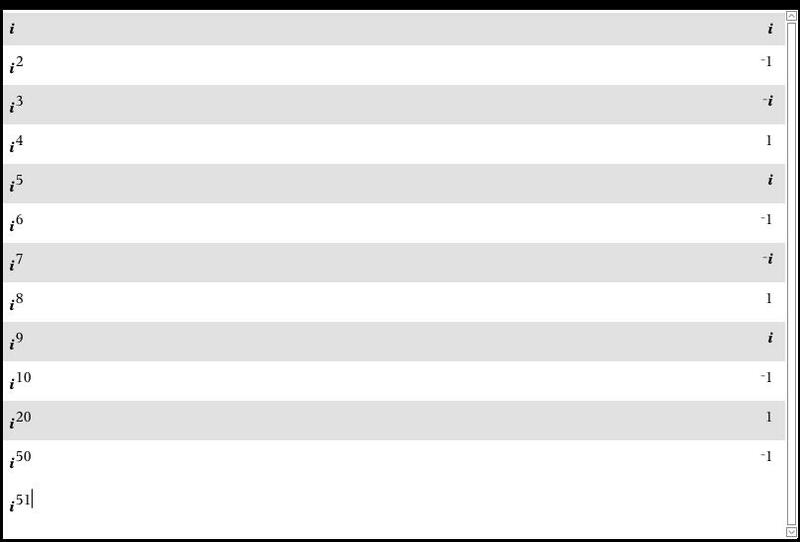 Here are the results of the questions that they worked. What I didn’t do at this point was differentiate my instruction. It occurred to me as soon as I got the results that I should have had a plan of what to do with the students who got 1 or 2 questions correct. It turns out that it was a team of students – already sitting together – who needed extra support – but I didn’t figure that out until later. Luckily, my students know that formative assessment isn’t just for me, the teacher – it’s for them, too. They share the responsibility in making a learning adjustment before the next class when they aren’t getting it. We pressed on together – to make more sense out of the equation of a circle. 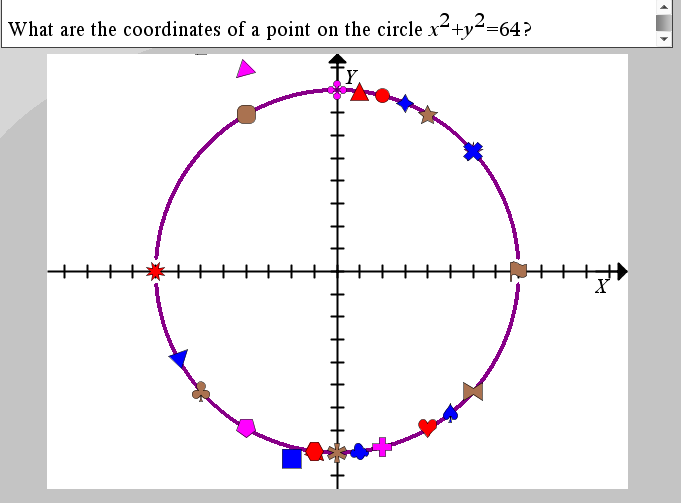 I used a few questions from the Mathematics Assessment Project formative assessment lesson, Equations of Circles 1, getting at specific points on the circle. And then I wondered whether we could begin making a circle. 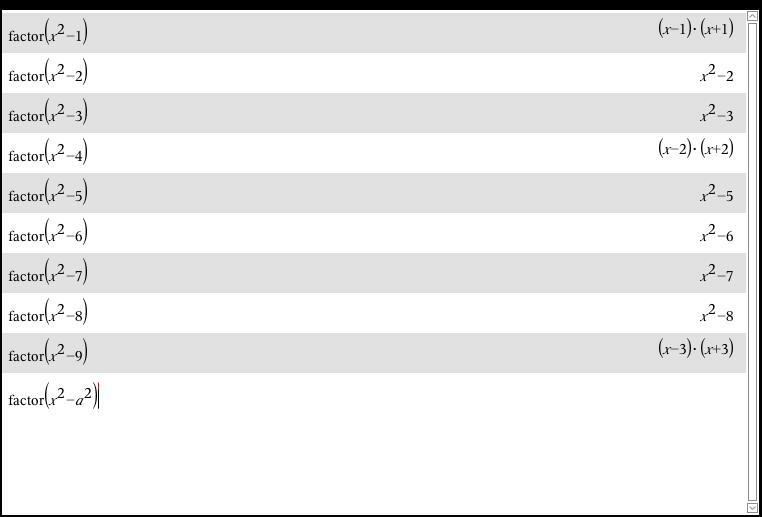 I assigned a different section of the x-y coordinate plane to each team. 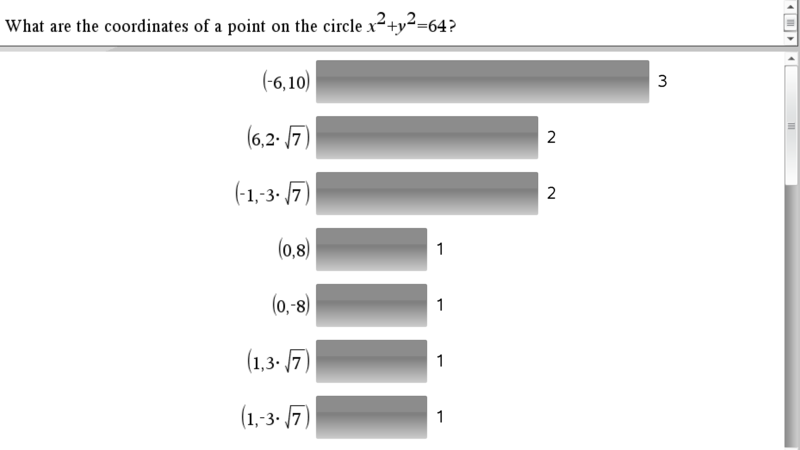 Send me a point (different from your team member) that lies on the circle x²+y²=64. 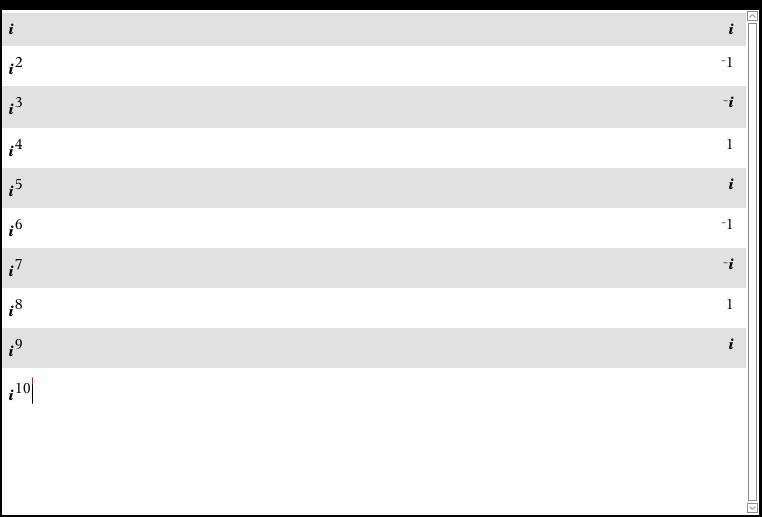 Quadrant II is a little lacking, but overall, not too bad. 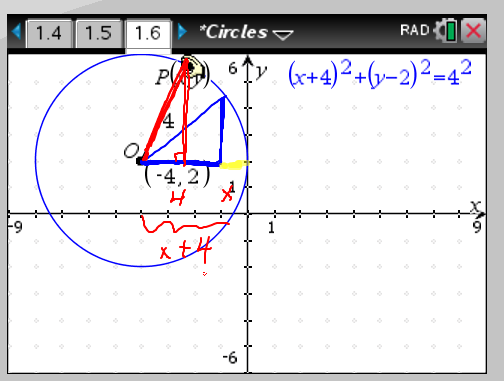 How can we graph the circle, limited to functions? 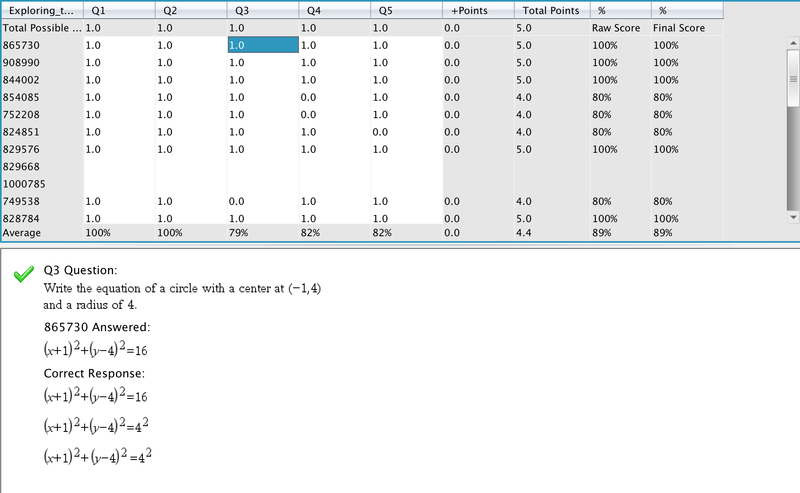 How can we tell which points are correct? 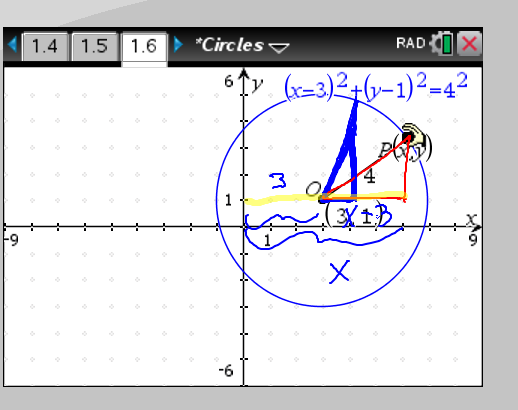 I asked them to write the equation of a circle given its center and radius, practicing attend to precision. 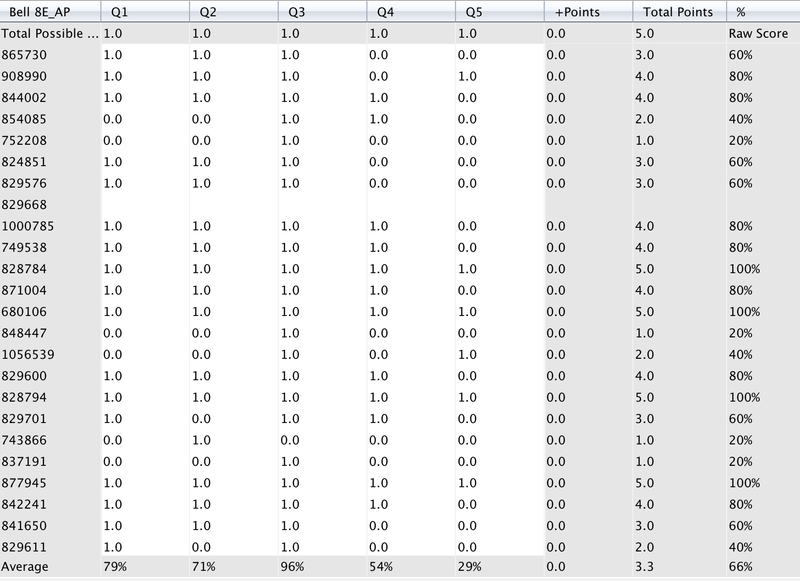 54% of the students were successful. 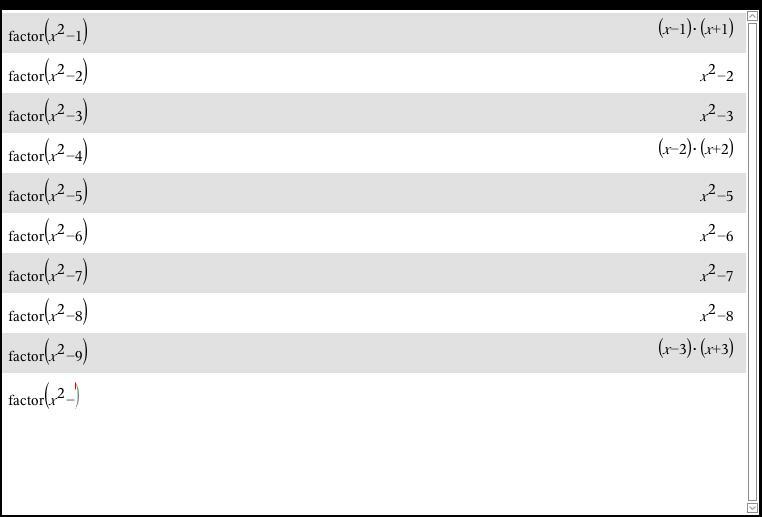 The review workspace helps us attend to precision as well, since we can see how others answered. I have evidence from the lesson that students are building procedural fluency from conceptual understanding (one of the NCTM Principles to Actions Mathematics Teaching Practices). 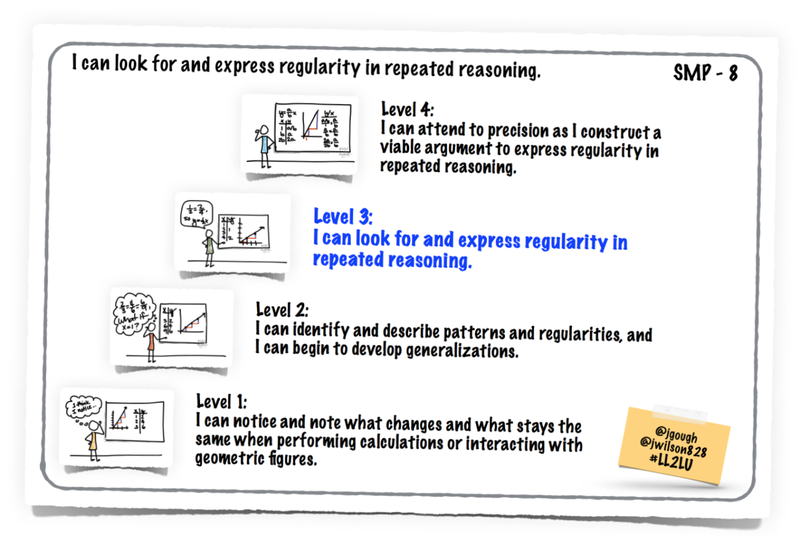 But what I liked best is that by the end of the lesson, most students reached level 4 of look for and express regularity in repeated reasoning: I can attend to precision as I construct a viable argument to express regularity in repeated reasoning. 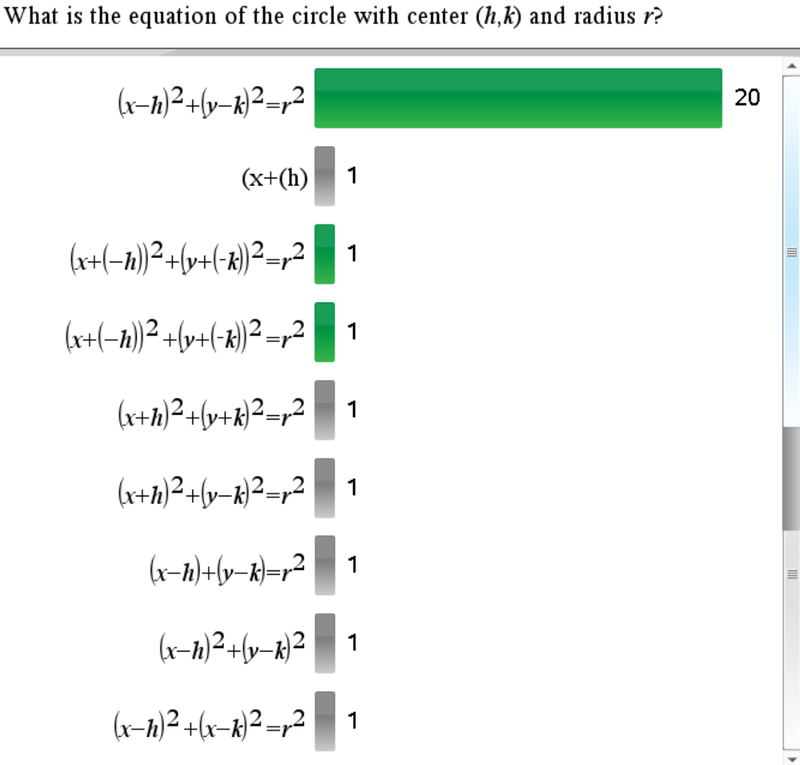 When I asked them the equation of a circle with center (h,k) and radius r, 79% told me the standard form (or general for or center-radius form, depending on which textbook/site you use) instead of me telling them. We closed the lesson by looking back at what happens when the circle is translated so that its center is no longer the origin. How does the right triangle change? 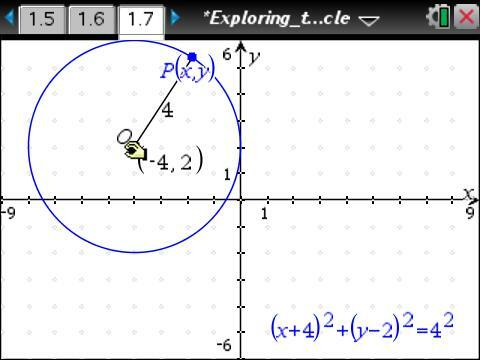 How can that help us make sense of equation of the circle? And so the journey continues, one #AskDontTell learning episode at a time. 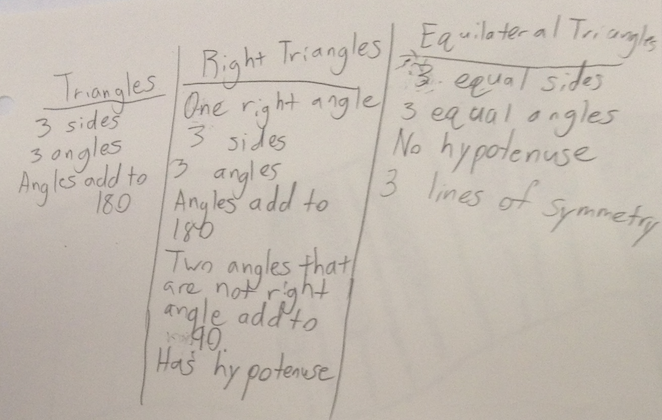 We look specifically at 45-45-90 triangles on the first day of our Right Triangles unit. I’ve already written specifically about what the 45-45-90 exploration looked like, but I wanted to note a conversation that we had before that exploration. Jill and I had recently talked about introducing new learning by drawing on what students already know. 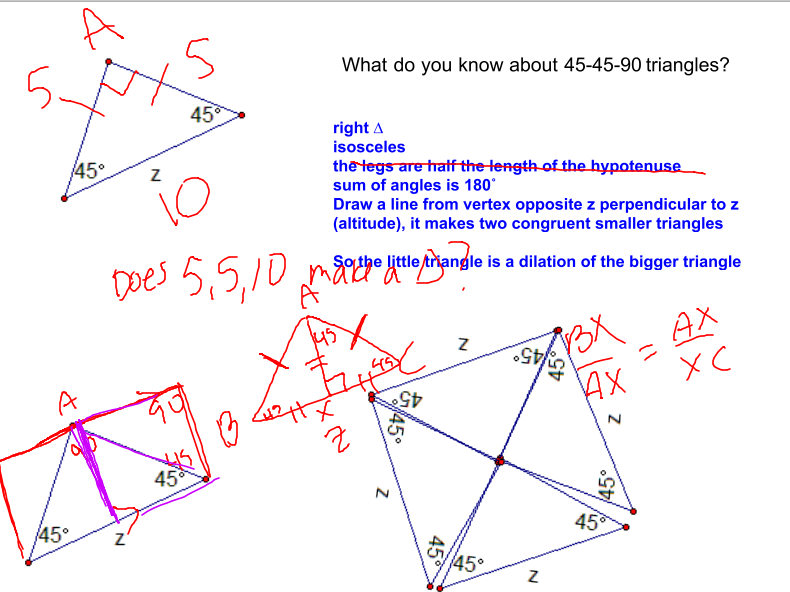 I’ve always started 45-45-90 triangles by having students think about what they already know about these triangles (even though many have never called them 45-45-90 triangles before). After hearing about one of Jill’s classes, though, I started by asking students to make a column for triangles, right triangles, and equilateral triangles, noting what they know to always be true for each. This short exercise gave students the opportunity to attend to precision with their vocabulary. 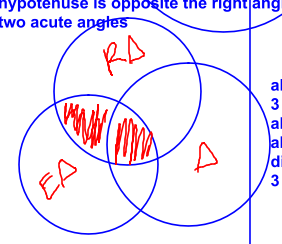 It occurred to me while we were talking that having students draw a Venn Diagram to organize triangles, right triangles, and equilateral triangles might be an interesting exercise. 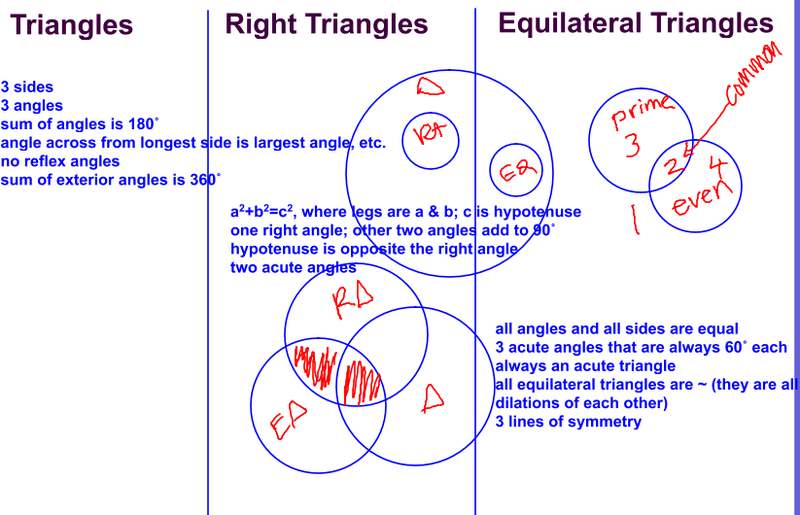 How would you draw a Venn Diagram to show the relationship between triangles, right triangles, and equilateral triangles? 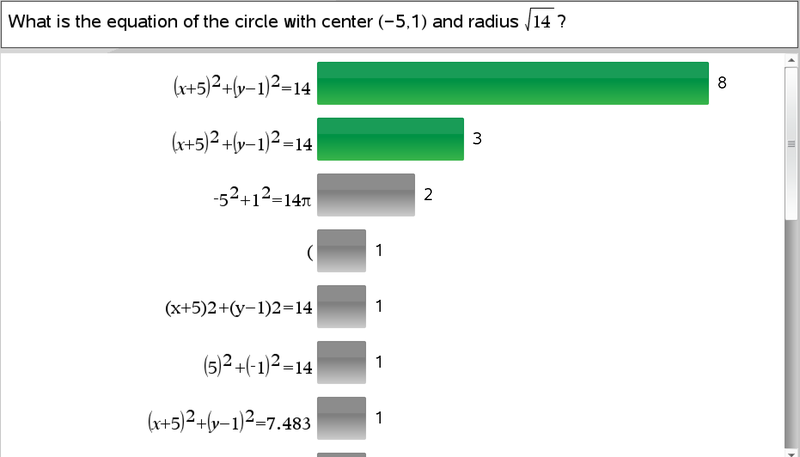 In my seconds of anticipating student responses, I expected one visual but got something very different. 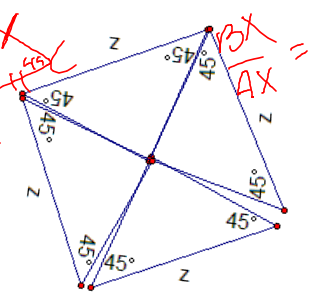 What does it mean for an object to be in the intersection of two sets? 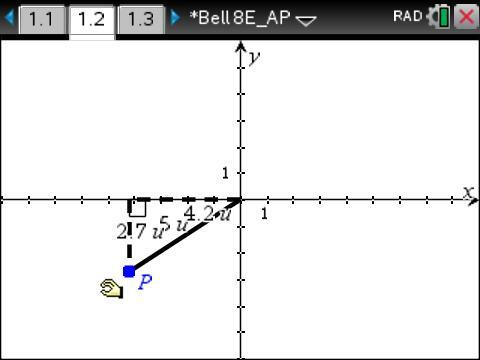 Or the intersection of three sets? Or in the part of the set that doesn’t intersect with the other sets? 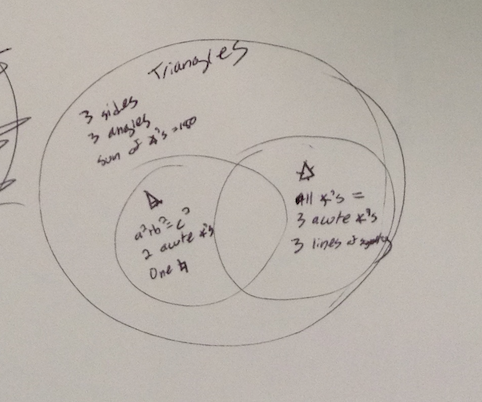 Then we thought specifically about 45-45-90 triangles. What do you already know? Students practiced look for and make use of structure. 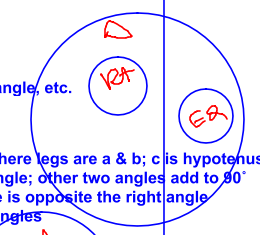 One student suggested that the legs are half the length of the hypotenuse. Instead of saying that wouldn’t work or not writing it on our list, I added it to the list and then later asked what would be the hypotenuse for a triangle with legs that are 5. 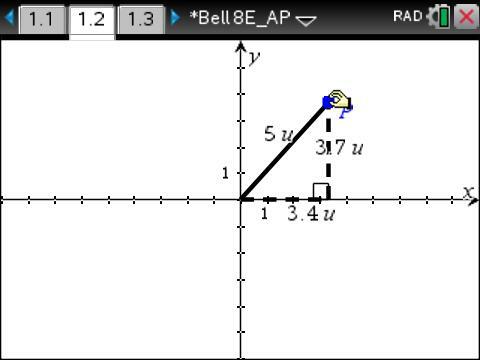 I wrote 10 on the hypotenuse and waited. 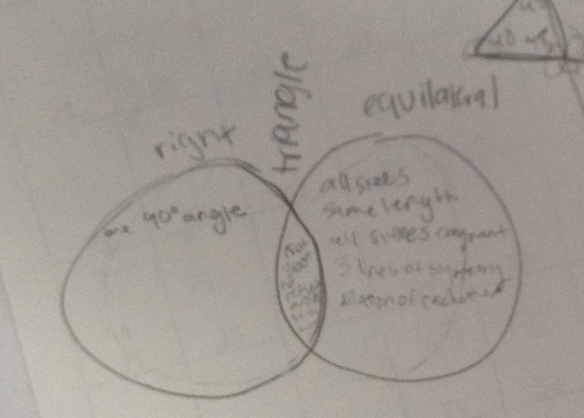 But that’s not a triangle? 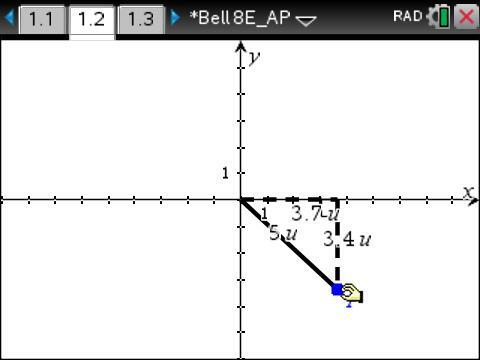 5-5-10 doesn’t make a triangle. It would collapse (students have a visual image for a triangle collapsing from our previous work on the Triangle Inequality Theorem). 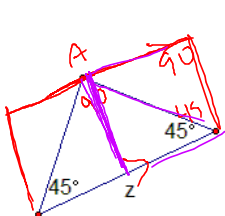 Does the Pythagorean Theorem work for 5-5-10? Students reflected the triangles about the legs and hypotenuse to compose the 45-45-90 triangle into squares and rectangles. 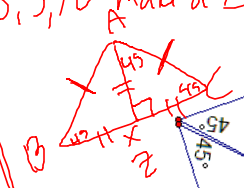 And they constructed an altitude to the hypotenuse to decompose the 45-45-90 triangle into more 45-45-90 triangles. And then we focused on the relationship between the legs and the hypotenuse using the Math Nspired activity Special Right Triangles. 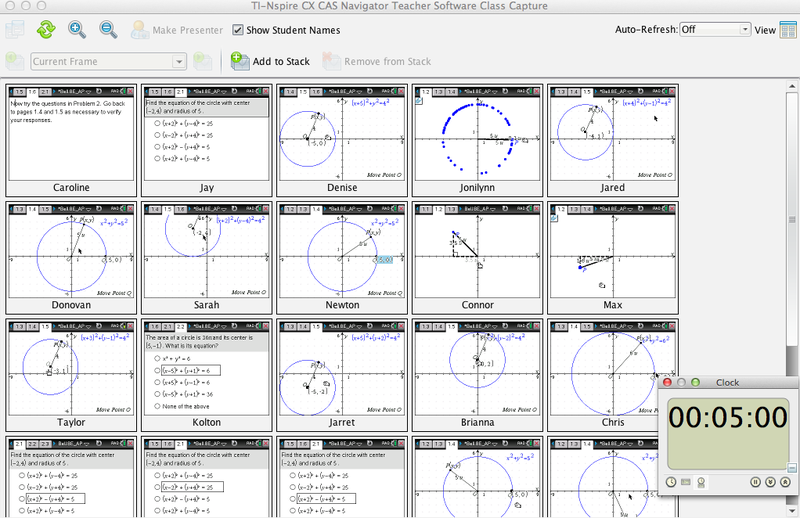 And so the journey continues … listening to and learning alongside my students. 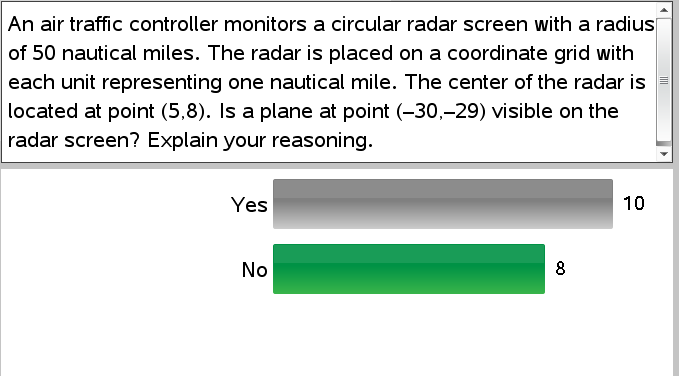 But what if I can’t look for and express regularity in repeated reasoning yet? What if I need help? How might we make a pathway for success? 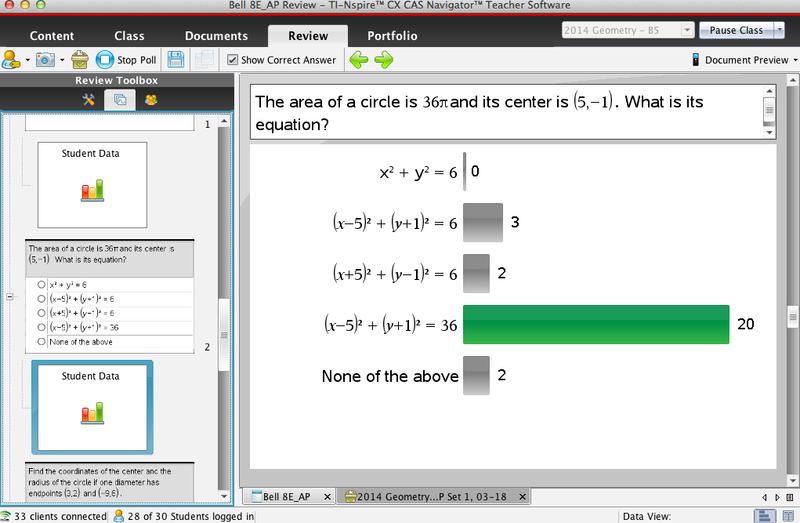 We use a CAS (computer algebra system) to help our students practice look for and express regularity in repeated reasoning. 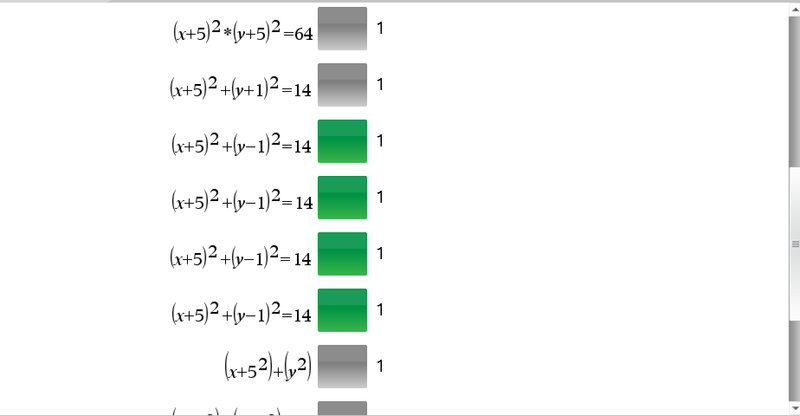 What do we need to factor for the result to be (x-4)(x+4)? 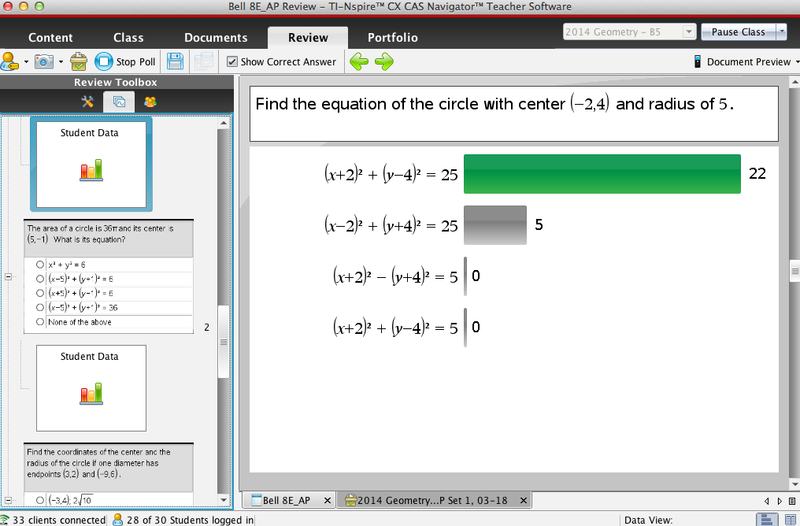 What do we need to factor for the result to be (x-9)(x+9)? What will the result be if we factor x²-121? 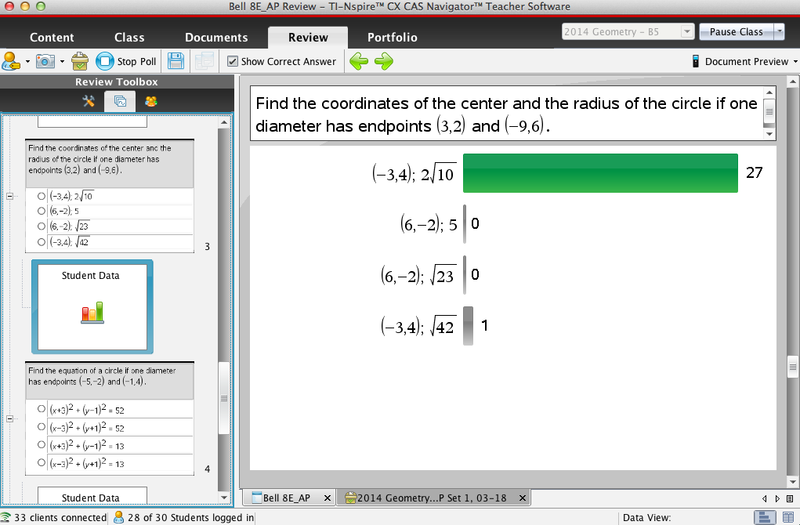 What will the result be if we factor x²-a²? 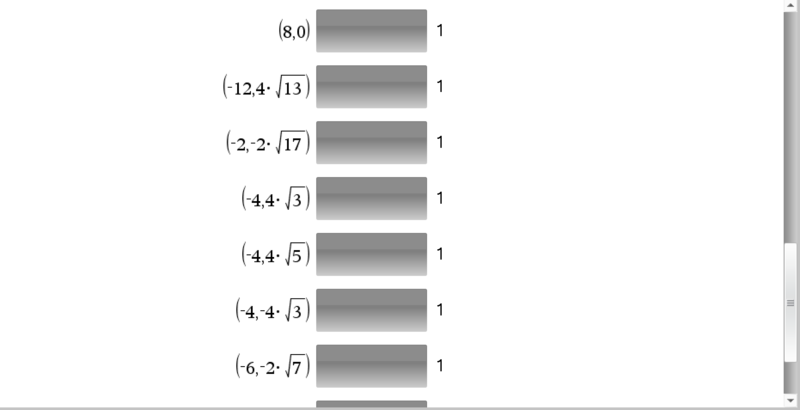 What happens if we factor over the set of real numbers? Or over the set of complex numbers? What about expanding the square of a binomial? What changes? What stays the same? 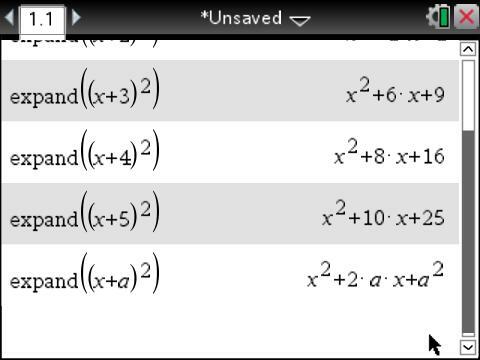 What will the result be if we expand (x+5)²? What about expanding the cube of a binomial? 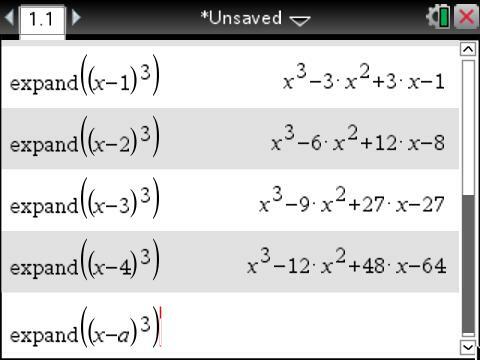 Or expanding (x+1)^n, or (x+y)^n? What if we are looking at powers of i? We can look for and express regularity in repeated reasoning when factoring the sum or difference of cubes. Or simplifying radicals. Or solving equations. Through reflection and conversation, students make connections and begin to generalize results. What opportunities are you giving your students to look for and express regularity in repeated reasoning? What content are you teaching this week that you can #AskDontTell?